Fortnite is a massive cultural phenomenon, with the title playable on nearly every modern gaming platform, including smartphones. 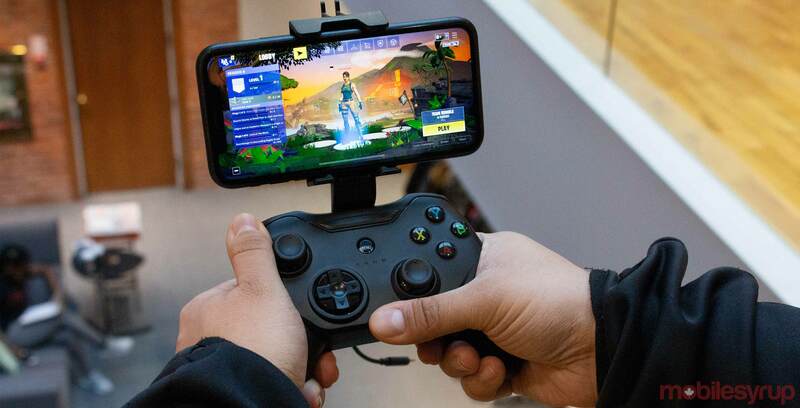 Since Epic updated Fortnite with controller support this past January, various accessory manufacturers have taken a crack at making controllers designed specifically for smartphones. When you factor in cross-play and complicated touch screen controls, most casual Fortnite players have a significant disadvantage when compared to PC and console gamers. Having compatible mobile gamepads should theoretically help solve this issue. Rotor Riot is one of the first companies to make the leap to release a controller that aims at bridging the gap between mobile and console Fortnite players. Known for developing drone parts and accessories, the company has released its first ever Android gamepad and MFi (Made for iPhone) Apple approved controller. Unlike other mobile controllers, Rotor Riot’s gamepad adds in L3 and R3 buttons to replicate the console experience. It can also be used to control drones. Moreover, the gamepad is wired. This means it connects to a phone using either a lightning cable (with the iOS gamepad) or a USB-C cable (for Android). 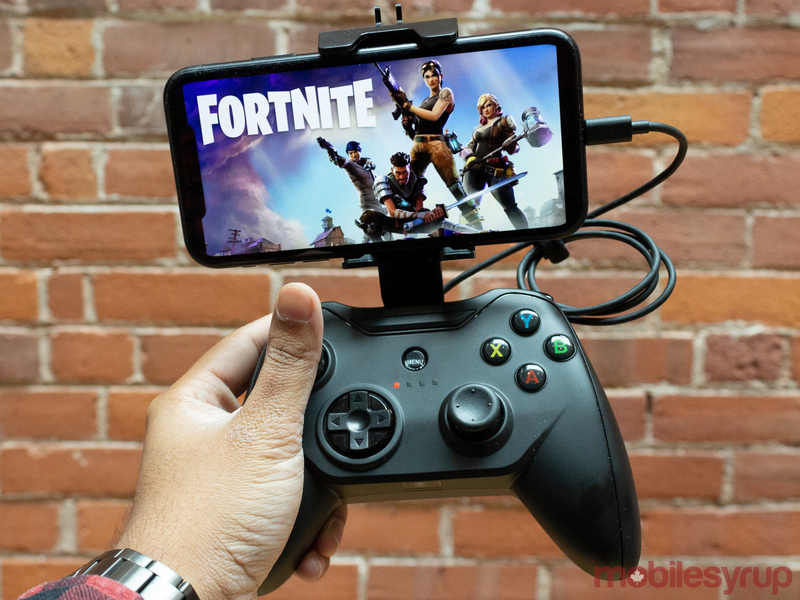 So how does Rotor Riot’s first attempt at a Fortnite-focused mobile controller stack up? 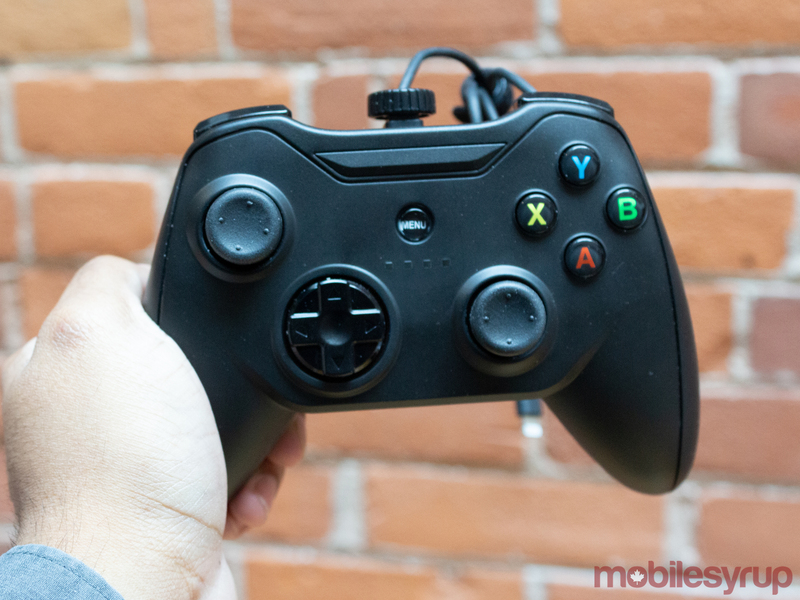 Most companies model their mobile controllers after either the Xbox 360 or PlayStation 3 gamepad. Rotor Riot has gone with the former. The two analog sticks are offset to each other, with one located on the top left and the other located on the bottom right. As I said earlier, both analog sticks feature a L3 and R3 button, which are additional inputs users can trigger by pressing down on either analog stick. This offers the versatility of a standard controller. Located on the bottom left of the controller is a D-Pad designed similar to the Xbox 360 gamepad, with the face buttons located near the top right. The shoulder buttons also reflect this layout. The menu button is located in the middle, which allows you to navigate to Ludu Mapp, the controller’s main app. In terms of smartphone support, the Rotor Riot controller uses a detachable mount, which fits in the middle of the shoulder buttons. Setting it up is quite easy. All you need to do is take off a special screw at the top, place the smartphone stand in that area and then screw back on the piece. The overall design of the controller is great. Each button is spaced well from one another and the smartphone stand is located in a sensible spot. Rotor Riot’s gamepad promises to offer a ‘console quality controller’ with an asking price of $49.99 USD (roughly $66 CAD). As expected from a third-party controller manufacturer, Rotor Riot’s quality isn’t up to par with a Microsoft or Sony gamepad. With that in mind, the gamepad feels cheap when the price you’re paying for is taken into consideration. In my experience, controllers should have weight to them because it gives an added sense of security and better build quality. Considering the gamepad is made out of hard plastic, it feels like it could crack like an egg if it fell. Rubber grips on the sides would help mask the plastic and improve the overall comfort factor of the controller. What impressed me most about this gamepad is the quality of its smartphone mount. While it still uses hard plastic, the back where the phone rests features a nice rubber padding. The clamp uses the same rubber, which grips the phone tightly. The smartphone did not shift nor slide during my play sessions. I was also able to mount an iPhone 7 while it had a relatively thick case, which means that you don’t need to remove any casing just to use the controller. As a result, the mount does its job effectively. Regarding the rest of the controller, everything else works fine. Both analog sticks are a bit loose for my liking but this isn’t a significant issue. The rest of the buttons feel solid, though the directional pad is about as useful as the Xbox 360’s horrible D-Pad. The controller is quite comfortable for long gaming sessions too. I didn’t experience any hand cramps for any of the games I tested out. My still relatively brief time with the controller also didn’t deteriorate the mount or buttons. Since the Rotor Riot controller is wired, I experienced little to no input lag, which is especially useful with shooter games like Fortnite that require a split-second response time. Overall, Rotor Riot really did accomplish its goal of bringing a true console experience to mobile devices. Two main complaints that I have with this controller are its price and wired connectivity. I would have liked if this controller was more affordable. Both the Xbox and Rotor Riot controllers are around the same price. For a mobile gamepad that you’ll most likely only use for a few mobile games, $66 CAD is quite a considerable asking price. I wasn’t able to test out the drone features so I can’t comment on how well those work. However, while drone functionality may make the gamepad overall more cost-effective, for the mobile consumer, it makes the gamepad more expensive. This leads me to my second issue. Considering its price, I’d expect Rotor Riot to use Bluetooth rather than a wire. While I enjoy the lack of input lag while playing, it’s extremely limiting to have a controller be built for either iOS or Android. Overall, Rotor Riot made a versatile mobile controller and an enjoyable one at that. 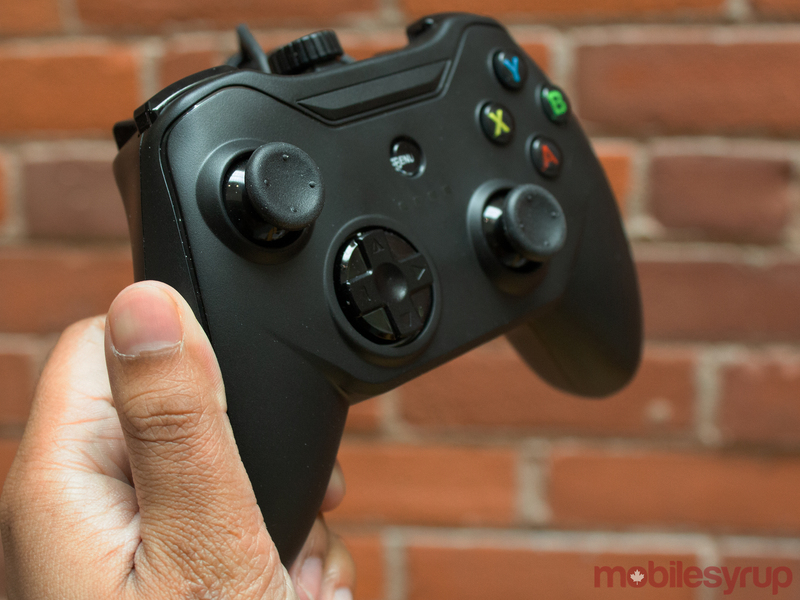 However, its price is arguably the biggest drawback in terms of what the gamepad offers. Furthermore, if you want to buy the Rotor Riot controller in Canada, you’ll have to ship it from a third-party retailer.